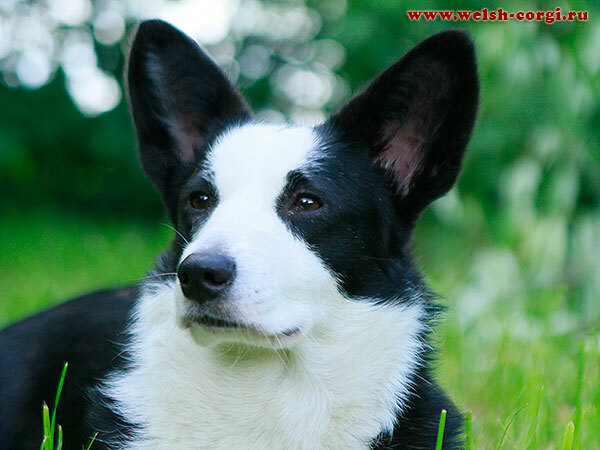 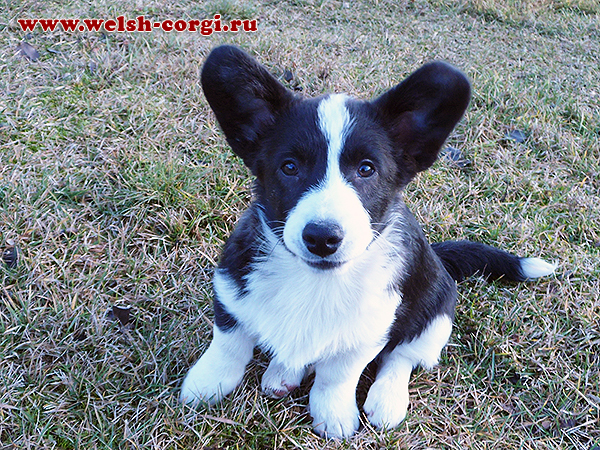 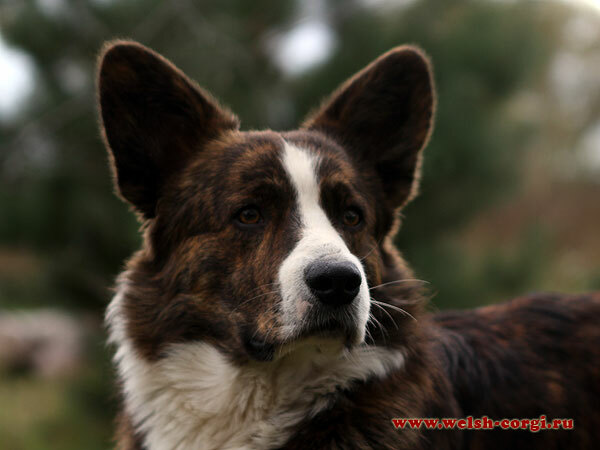 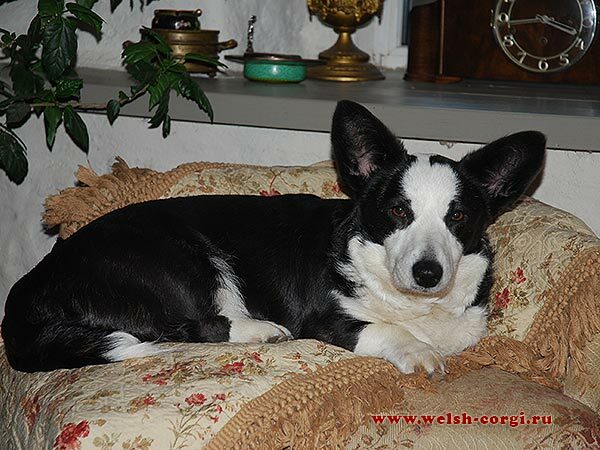 News of welsh corgi cardigan Kennel "Zamok Svyatogo Angela". 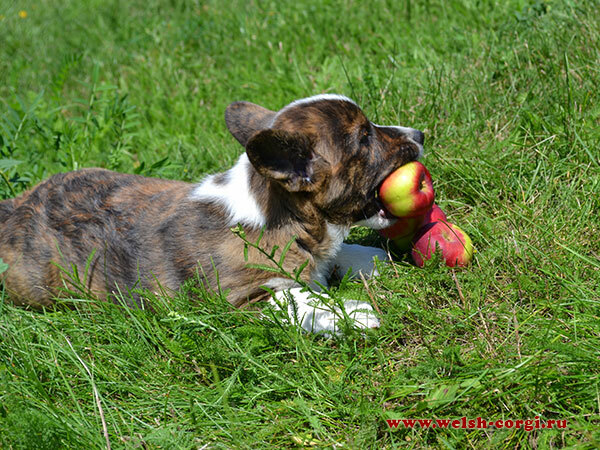 All our puppies found new homes! 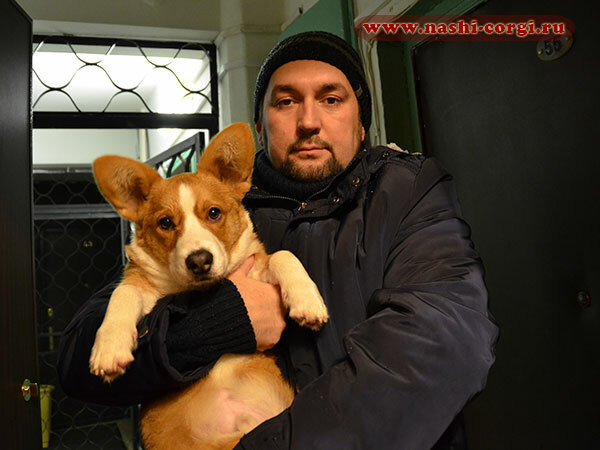 Thanks to the new owners for the sharing our feelings about our babies! 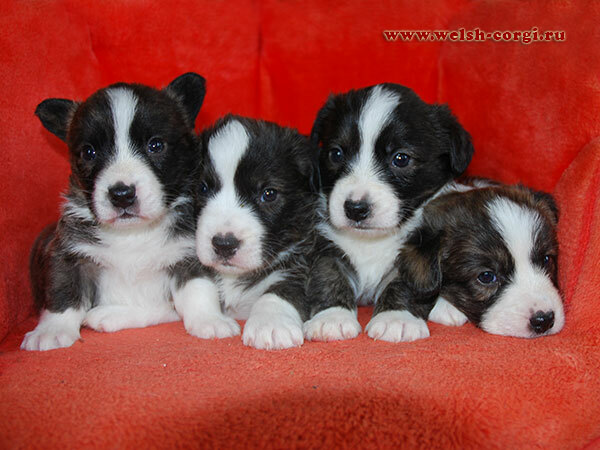 Beautiful puppies Zamok Svyatogo Angela CEZARION and Zamok Svyatogo Angela CICILIA from litter out of our Ava (Zamok Svyatogo Angela AVA) and Oskar (Zamok Svyatogo Angela DONNI) are waiting for their new owners! 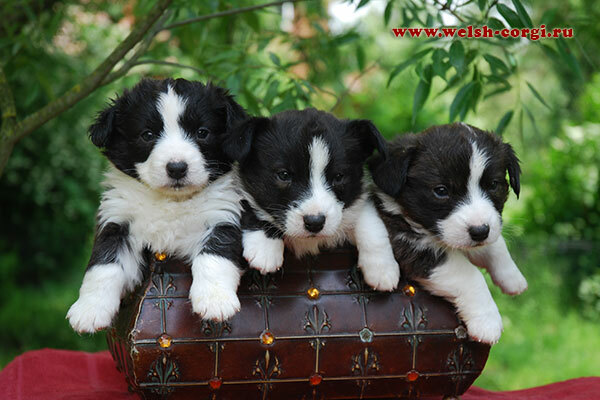 Look for the pedigree and all pictures of the babies on the page of C Litter. 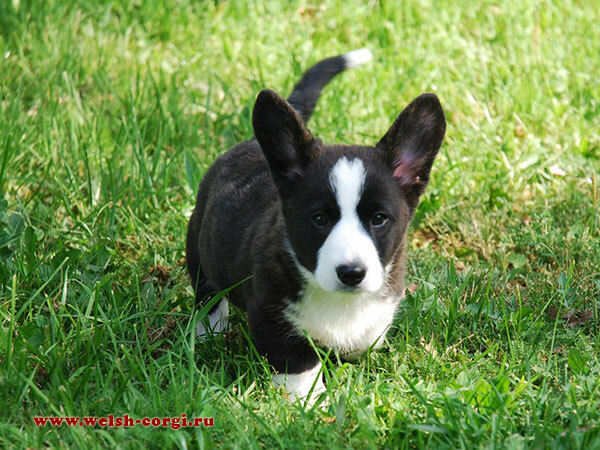 We have new pictures of the puppies from litter of 30th of September out of our Ava (Zamok Svyatogo Angela AVA) and Oskar (Zamok Svyatogo Angela DONNI)! 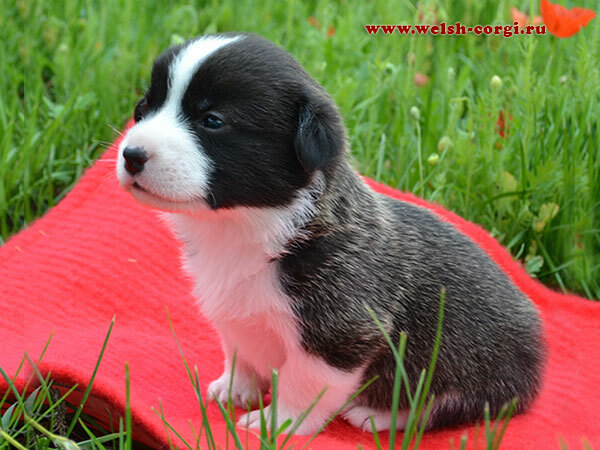 We have got first pictures of the puppies from litter of 30th of September out of our Ava (Zamok Svyatogo Angela AVA) and Oskar (Zamok Svyatogo Angela DONNI)! 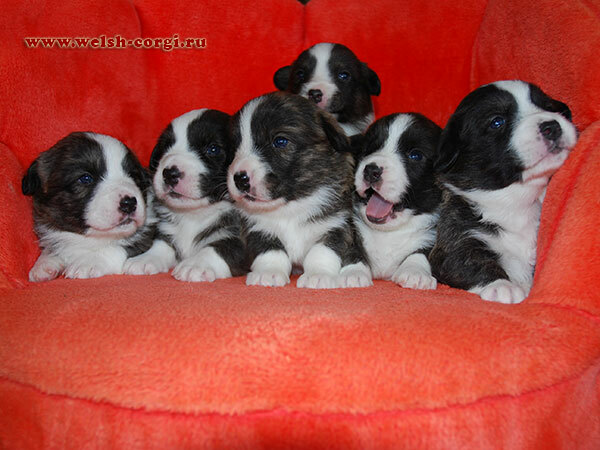 There are 4 brindle boys and 3 brindle girls! 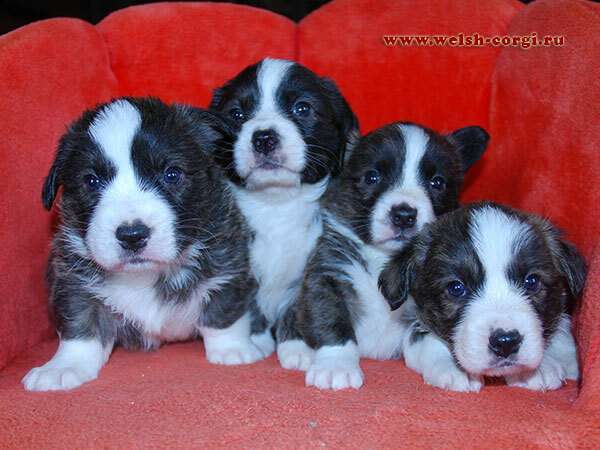 Look for the pedigree and all pictures of the babies on the page of H Litter. 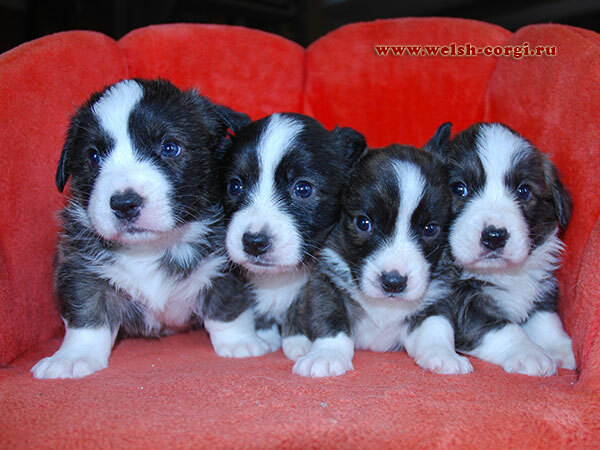 On the 30th of September our Ava (Zamok Svyatogo Angela AVA) gave birth to 4 brindle boys and 3 brindle girls out of Oskar (Zamok Svyatogo Angela DONNI)! 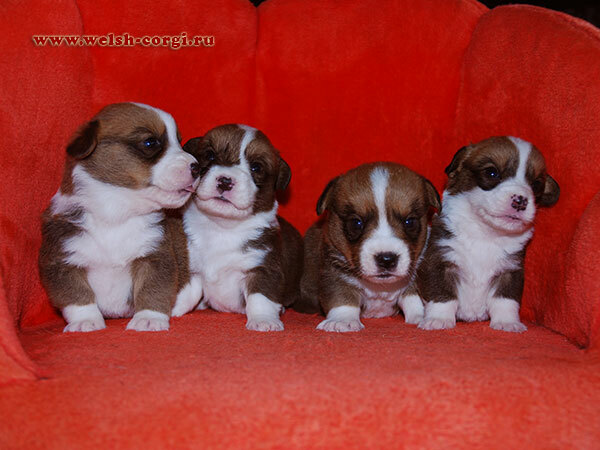 Now the babies are 3 weeks old but I can not write about them earlier because of sad circustomces.... 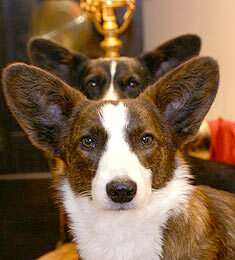 The father of the children our Oskar passed away before he could see his kids... We will always remember you Oskar... 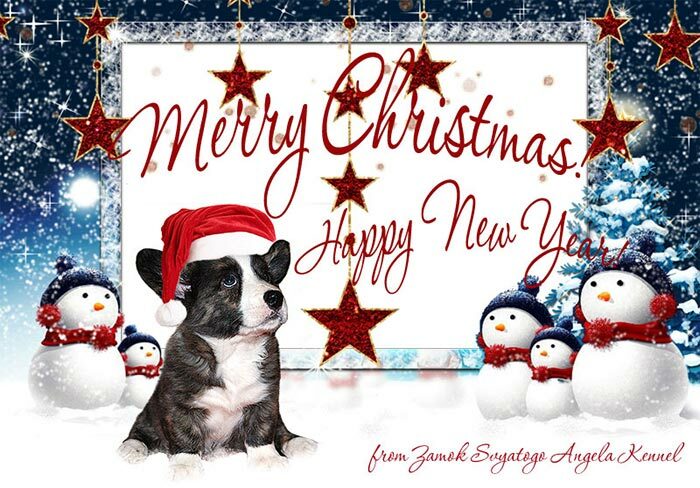 Thank you for the happyness you were giving us and for the children who are remind us of you. 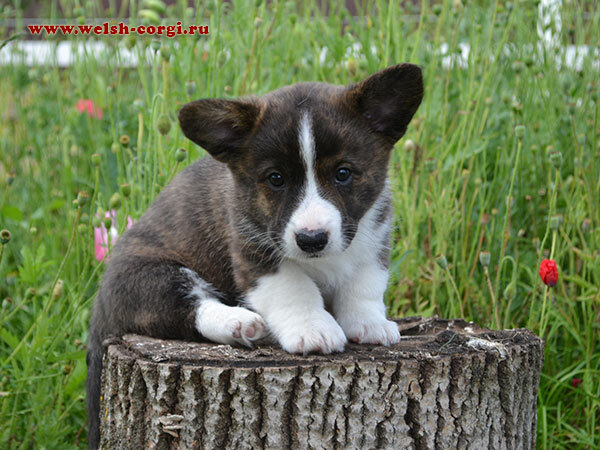 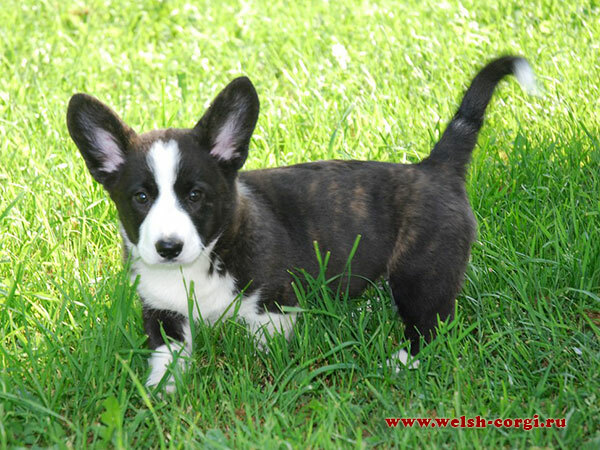 Our welsh corgi cardigan puppies are 1,5 month already and we have their new photos! 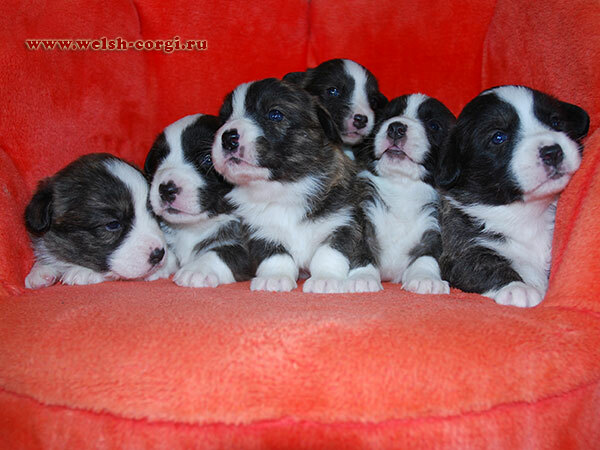 Look for the pedigree and all pictures of the babies on the page of H Litter. 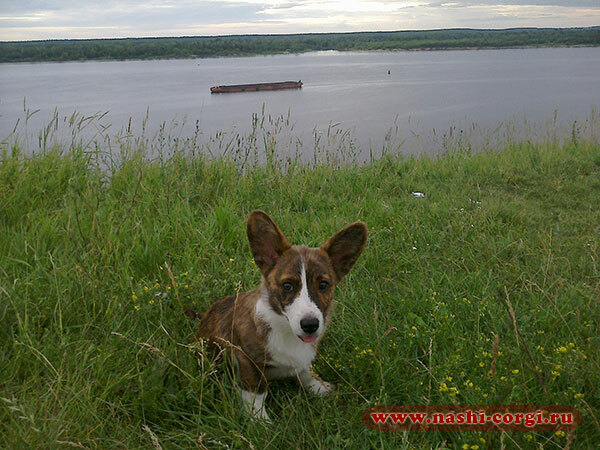 Meet the daughter of our Klim and Hanna, brindle girl Ruth (Zamok Svyatogo Angela RUTH) who lives in Nizhniy Novgorod! 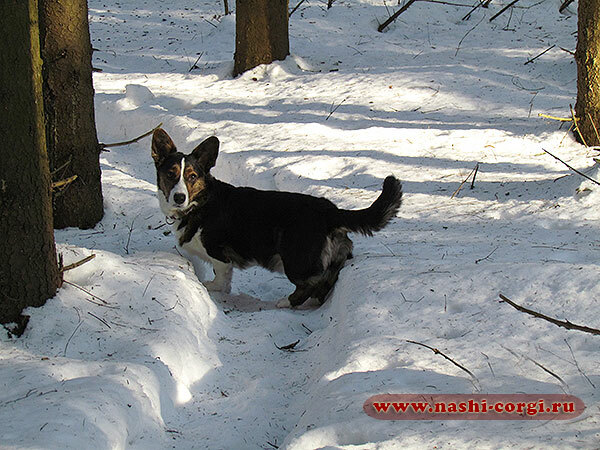 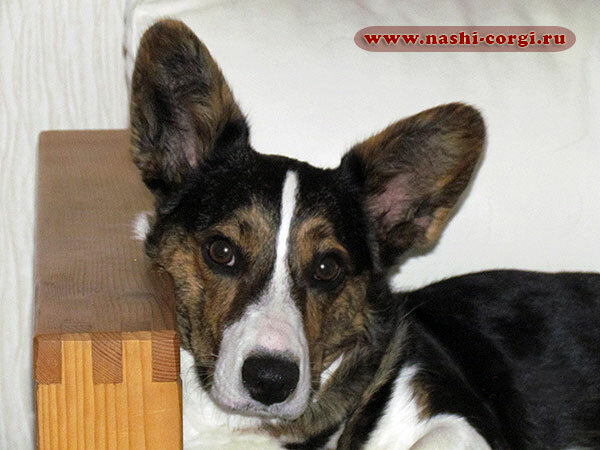 Now she has her own webpage on website of our chidren www.nashi-corgi.ru! 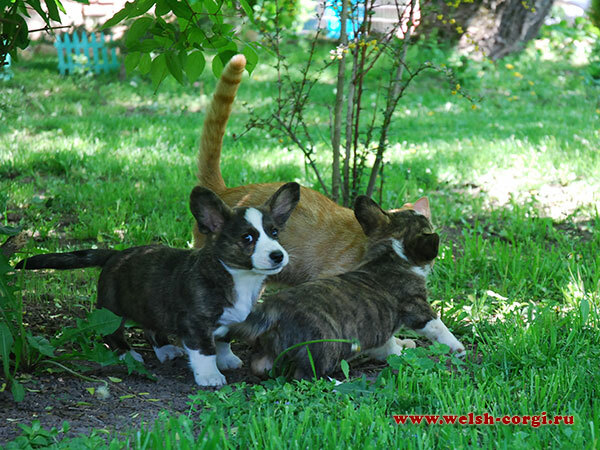 On the 18th of July our Ptitsa (Zamok Svyatogo Angela HAVVA PTITSA) and Zamok Svyatogo Angela ZIGMUND gifted us with the 7 cute babies: 2 red&white and 2 brindle girls, 1 brindle and 2 red&white boys! 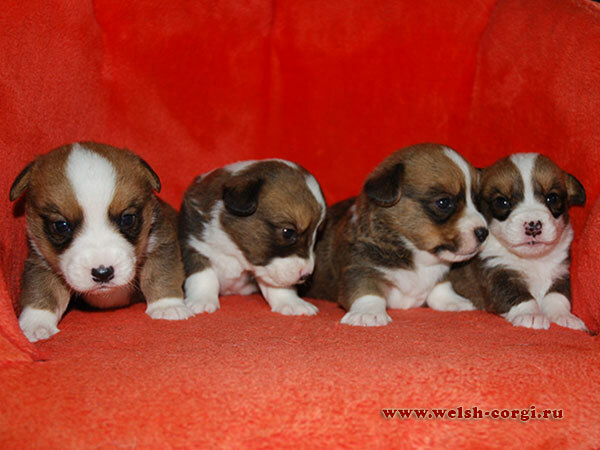 Look for the pedigree and first pictures of the babies on the page of H Litter. 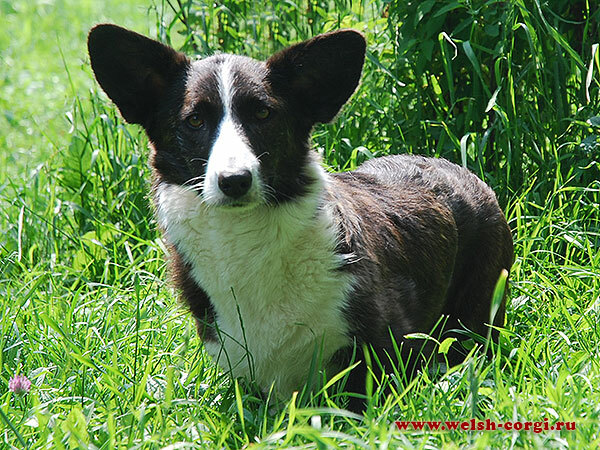 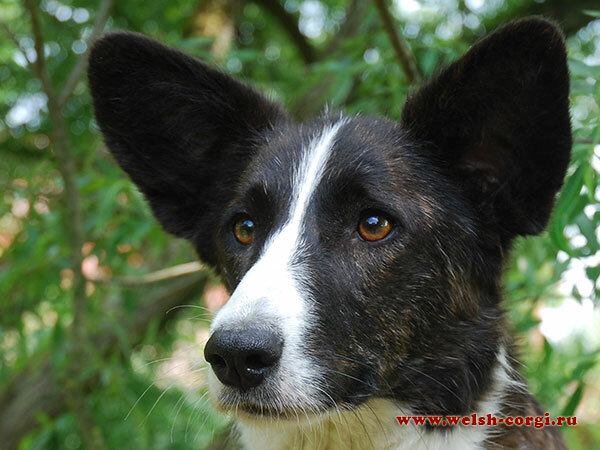 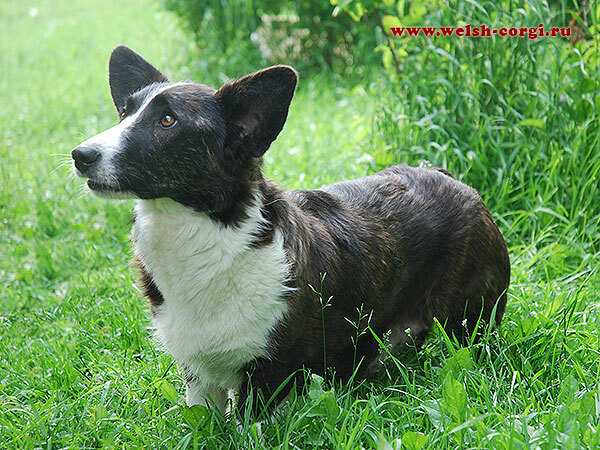 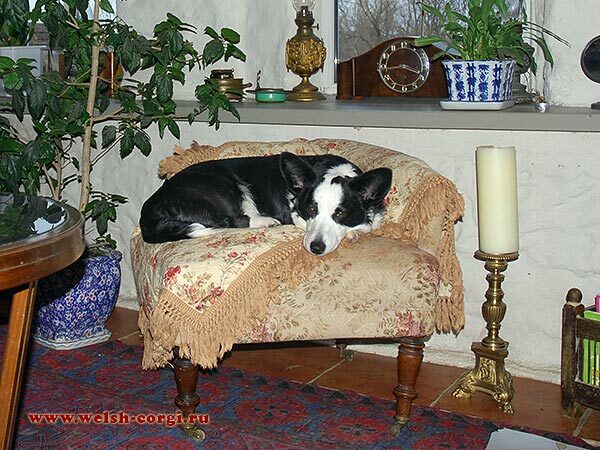 Brindle welsh corgi cardigan girl Zamok Svyatogo Angela FRANSIS is looking for the owners! 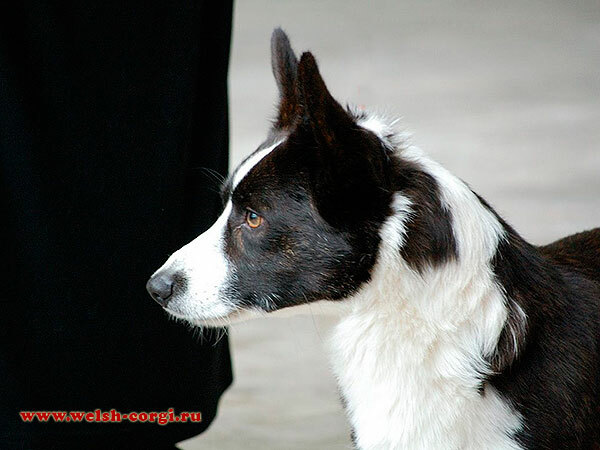 Look for the pedigree and pictures of the child on the page of F Litter. 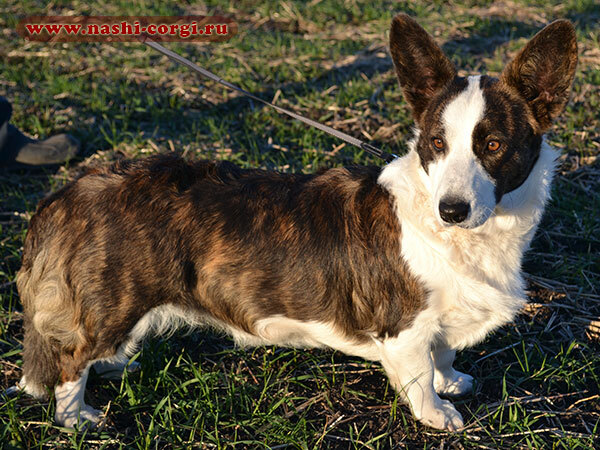 Brindle welsh corgi cardigan girl is looking for the owners! 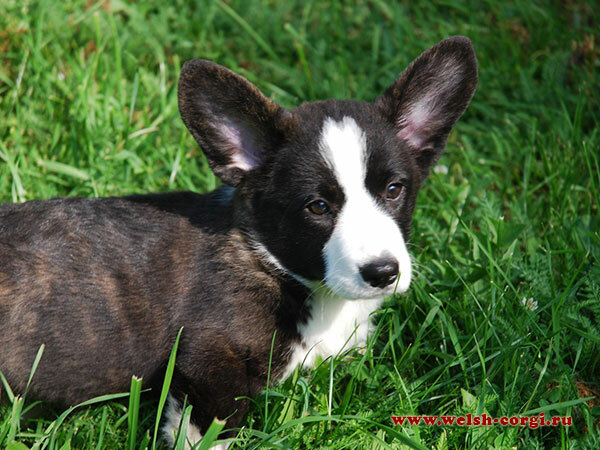 Look for the pedigree and new pictures of the baby at the age of 2 months on the page of F Litter. 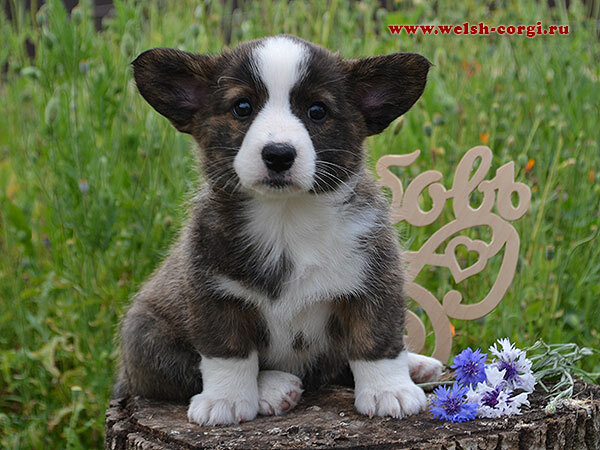 Our children of F litter are 1,5 months already and we made their new pictures! 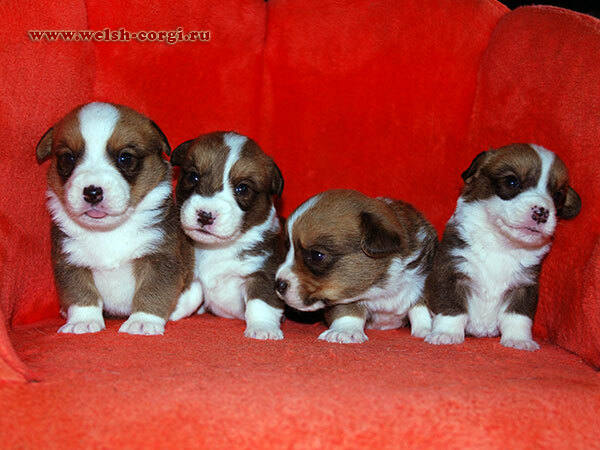 Puppies are looking for the new homes. 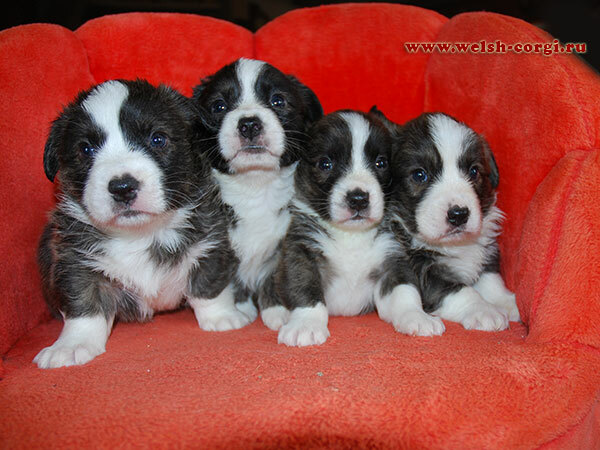 Look for the pedigree and new pictures of the kids on the page of F Litter. 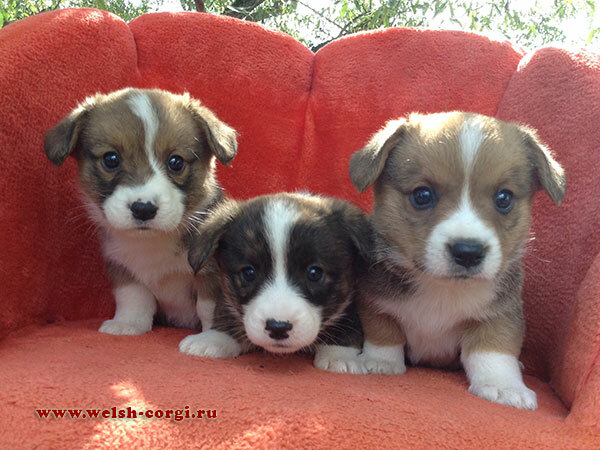 Children of Zamok Svyatogo Angela ARINA and Korgi Na Volge ARUS are 35 days old now! 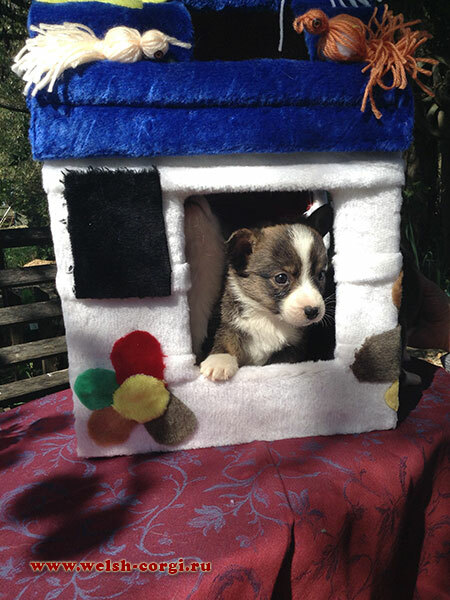 They are starting to look for the new homes. 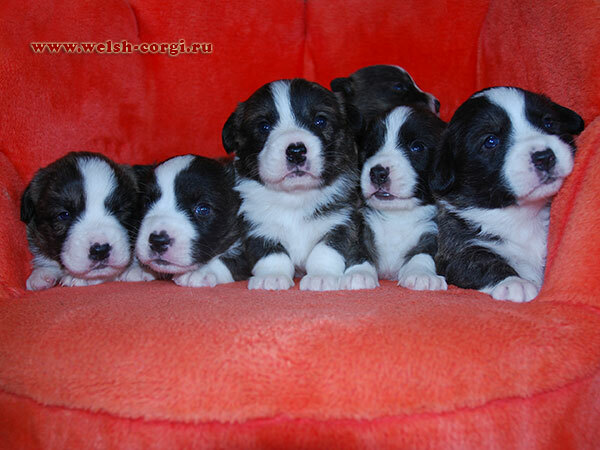 Look for the pedigree and new pictures of the babies on the page of F Litter. 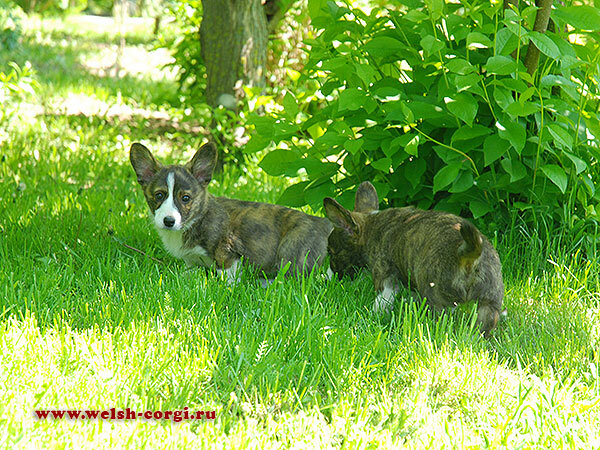 Our puppies (Zamok Svyatogo Angela DASHA DOCH LUNY) x Zamok Svyatogo Angela FAVORIT) have grown enough to start looking for the best owners! 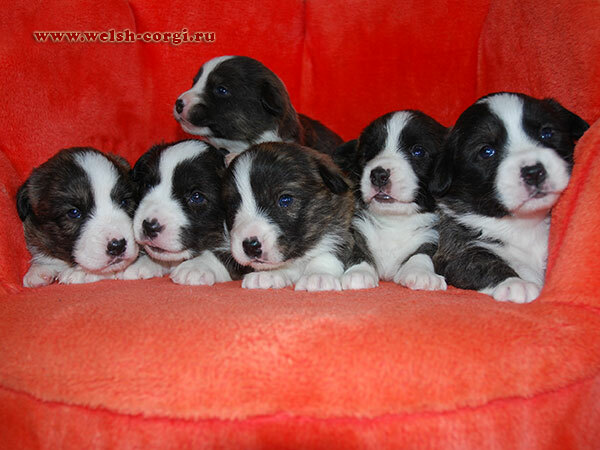 Please, find new pictures of the babies on the page of T Litter. 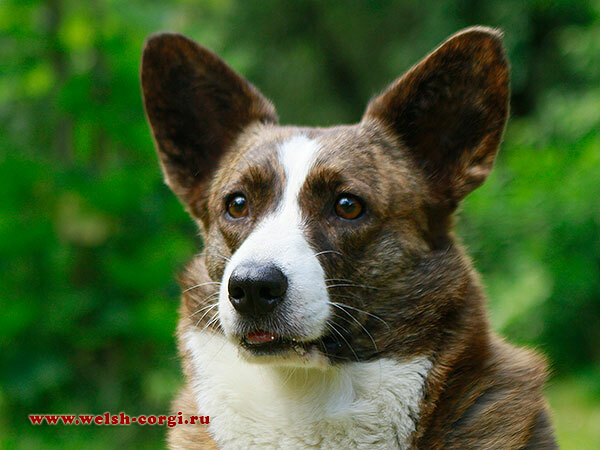 On the 5th of June our Arisha (Zamok Svyatogo Angela ARINA) gave birth to 6 brindle puppies (2 boys and 4 girls) out of Korgi Na Volge ARUS! 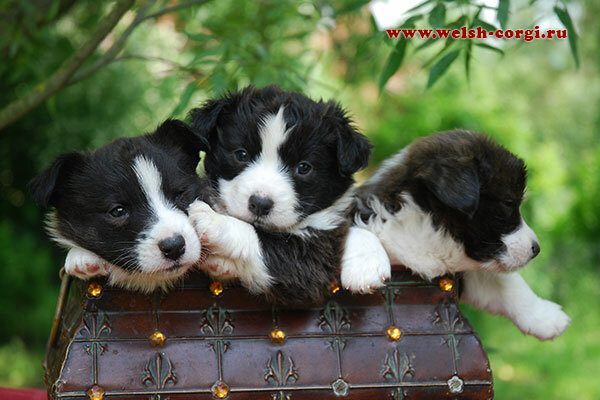 Look for the pedigree and pictures of the children on the page of F Litter. 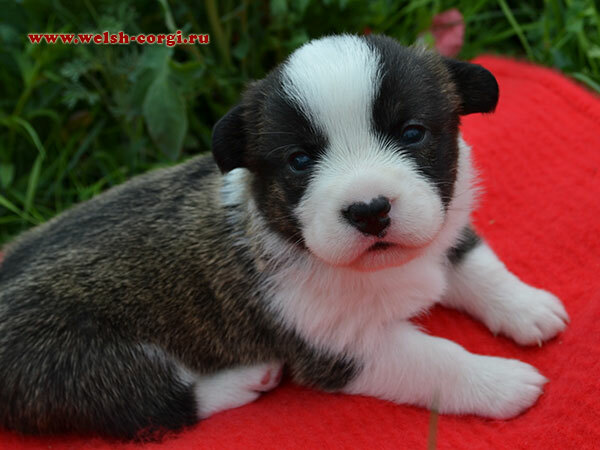 On the 14th of May our Dasha (Zamok Svyatogo Angela DASHA DOCH LUNY) and Frai (Zamok Svyatogo Angela FAVORIT) brought us 3 puppies! 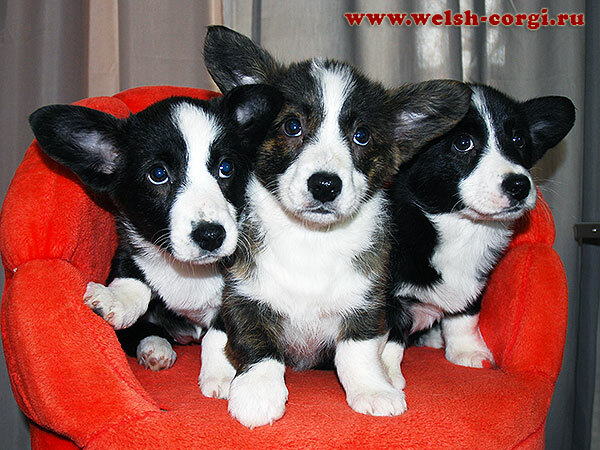 We have 2 boys and 1 girl! 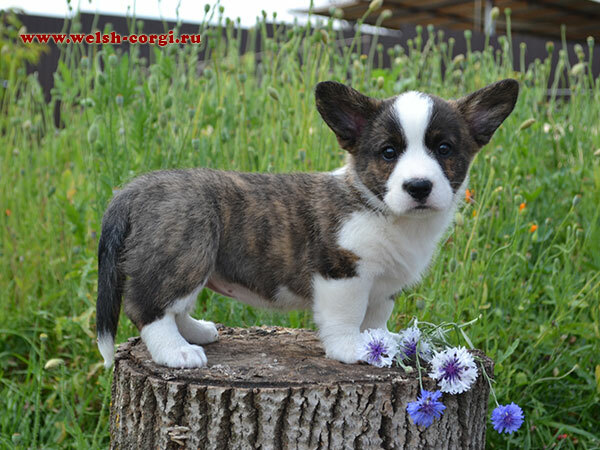 Kids are 1 month old now and we made their first photos. 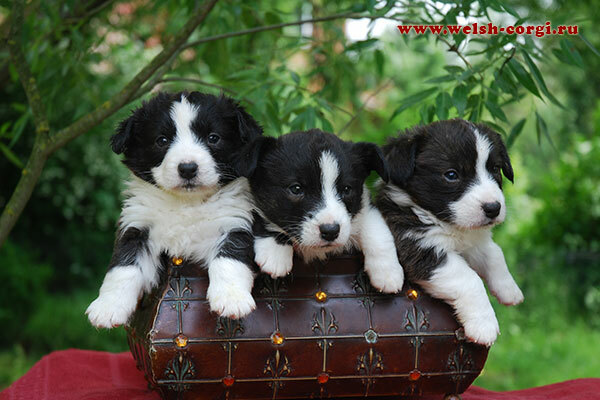 Look for the pedigree and pictures of the babies on the page of T Litter. 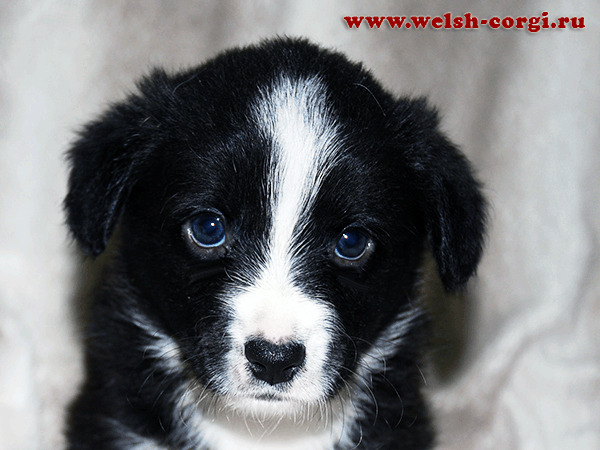 All puppies from R Litter have found their new homes! 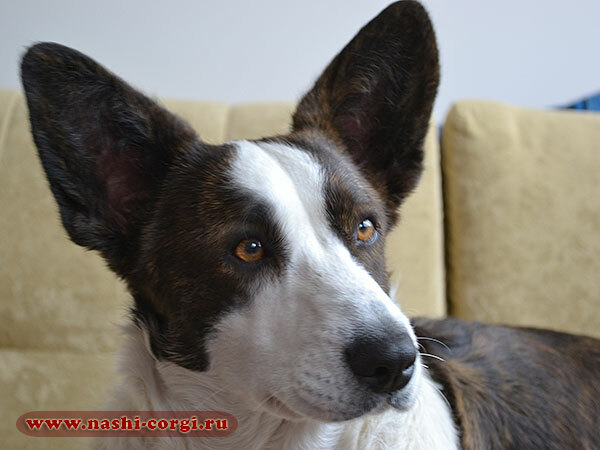 We have new pictures of our Dasha (Zamok Svyatogo Angela DASHA DOCH LUNY)! 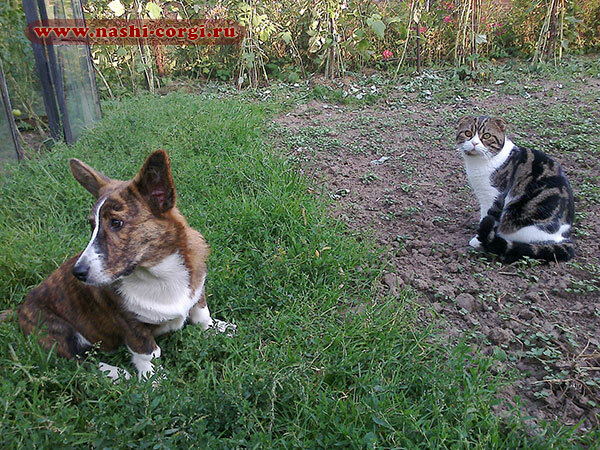 Look for all photos in her Photoalbum. 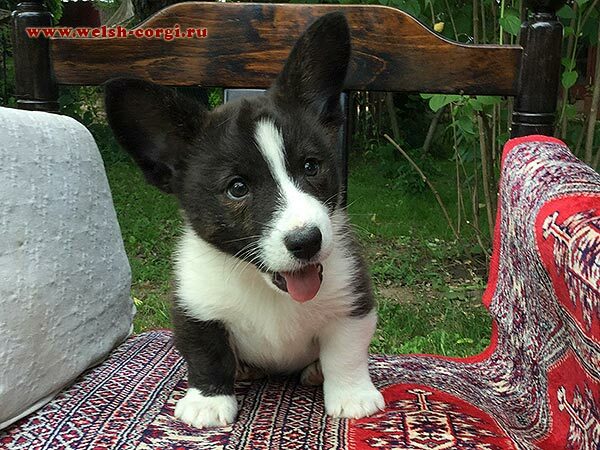 Brindle welsh corgi cardigan puppies Zamok Svyatogo Angela RODION and Zamok Svyatogo Angela RUTH are waiting for the best owners! 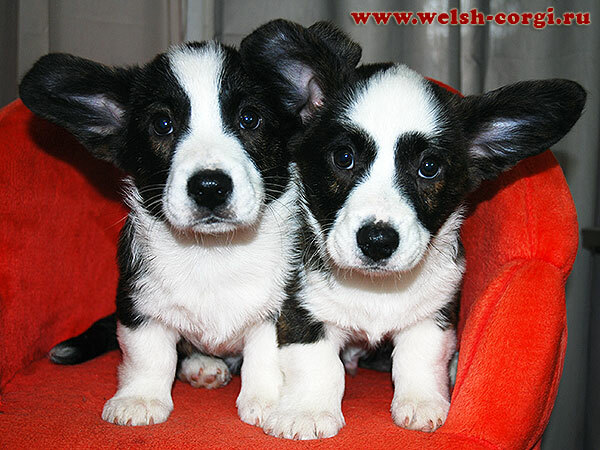 Look for their new pictures and pedigree on the page of R Litter. 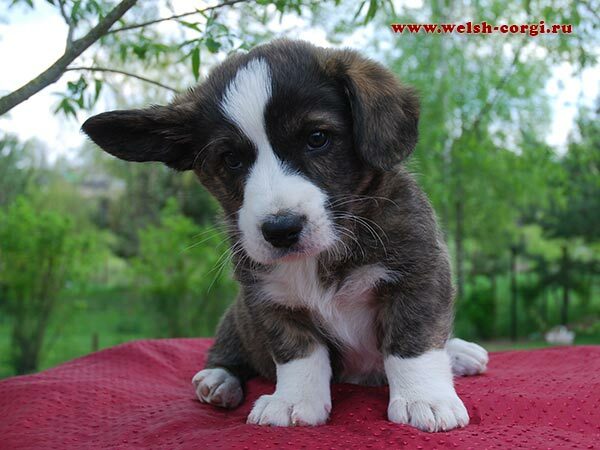 Sweet brindle boy Zamok Svyatogo Angela RODION is almost 2 months and he is waiting for the loving owners! 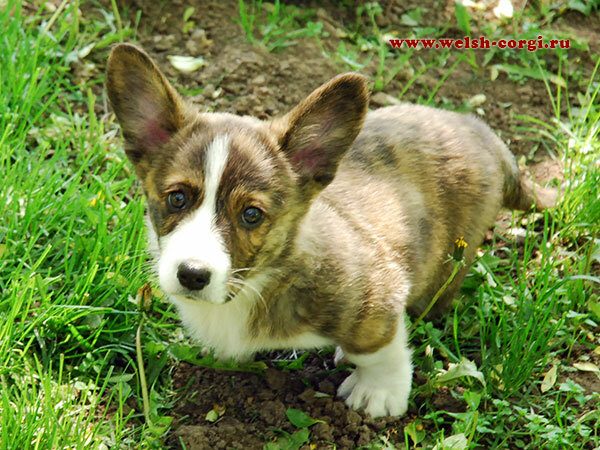 Look for the all photos and pedigree of the puppy on the page of R Litter. 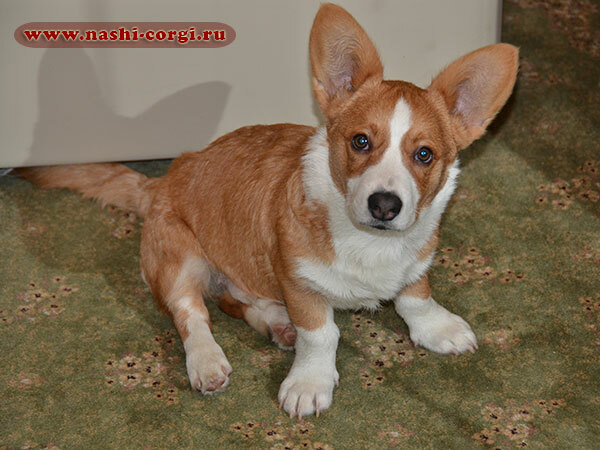 We have a few new pictures of «little Ava» (Zamok Svyatogo Angela AVA). 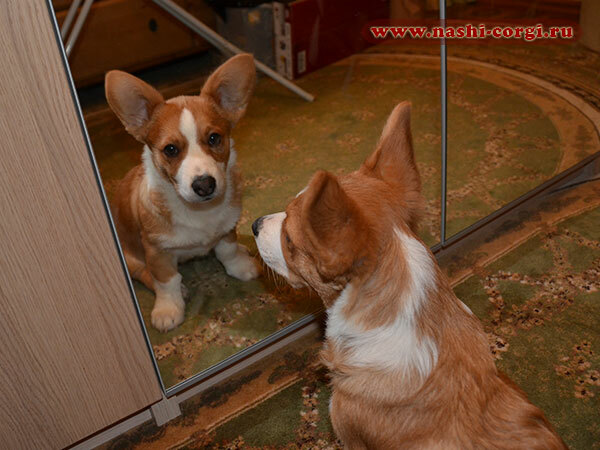 Look for all photos in her Photoalbum. 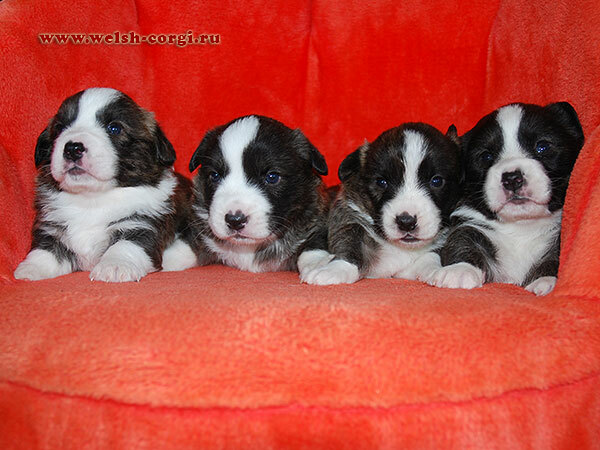 Our puppies are 1 month already and we made their new bright and funny hat pictures! 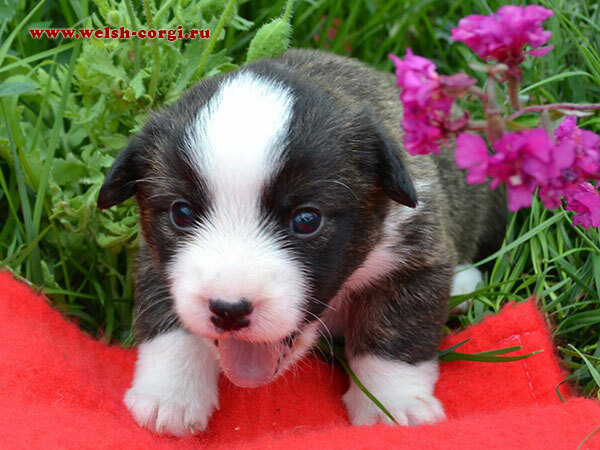 Look for the all photos and pedigree of the puppies on the page of R Litter. 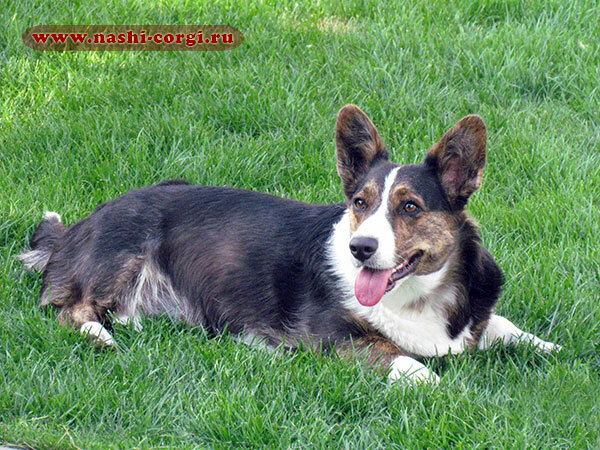 Meet brindle tricolor beauty Masyanya (Zamok Svyatogo Angela SHIMONA) who has now her own page on the website of our corgies www.nashi-corgi.ru! 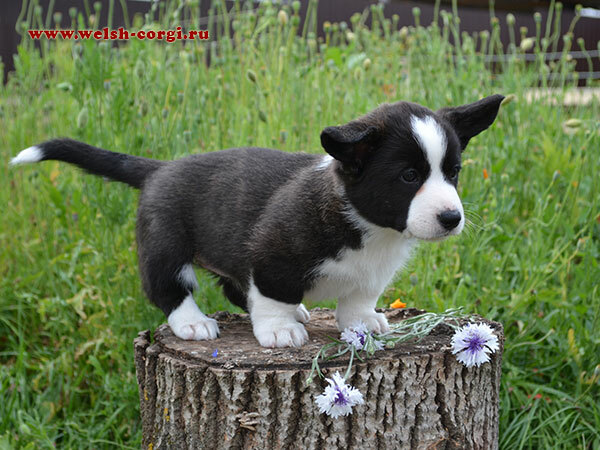 The children of our Klim (Zamok Svyatogo Angela SIMON) and Hanna (Zamok Svyatogo Angela HANNA BRAVO) grow very fast and now we hae their first pictures! 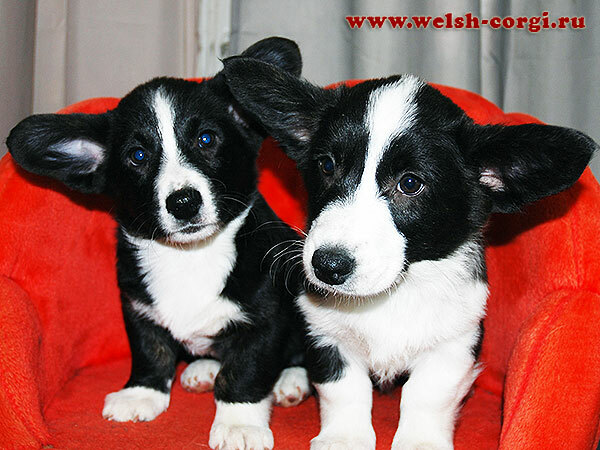 You can see all photos and pedigree of the puppies on the page of R Litter. 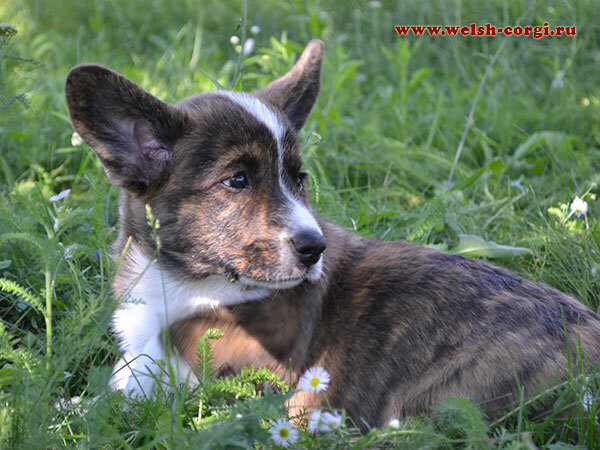 Say «Hello» to brindle beauty Katya (Zamok Svyatogo Angela KATERINA) — daughter of our Arisha (Zamok Svyatogo Angela ARINA) and Cardigan Park BRYAN (the son of Zamok Svyatogo Angela FAVORITKA)! 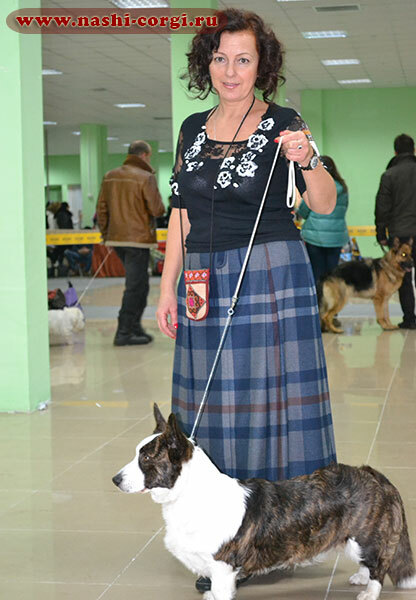 On the 18.03.2015 our Klim (Zamok Svyatogo Angela SIMON) and Hanna (Zamok Svyatogo Angela HANNA BRAVO) brought us cute children: 2 brindle girls and 4 brindle boys! 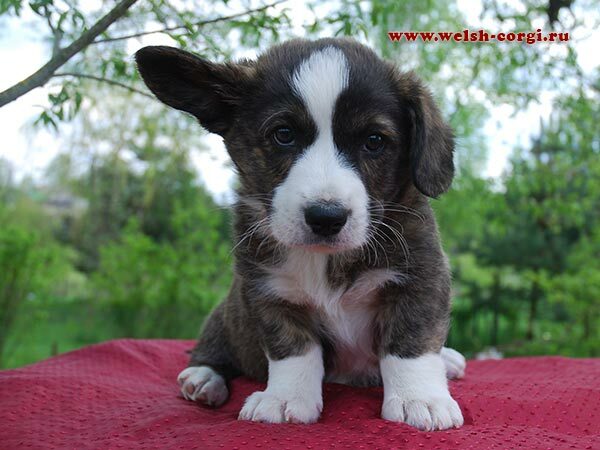 You can see the pedigree and photos of ancestors of the babies on the page of R Litter. 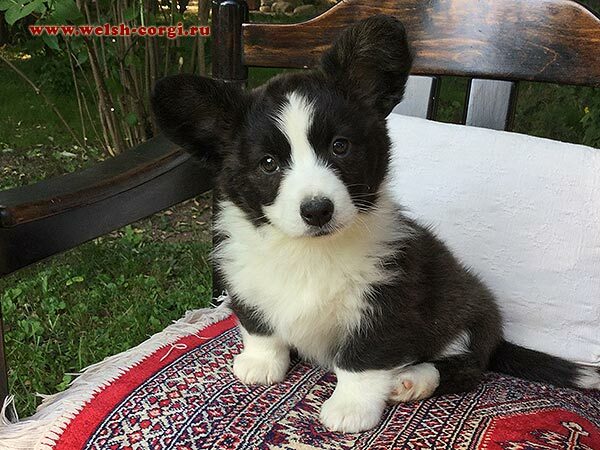 As soon as our children grow up a bit we will show their first photos. 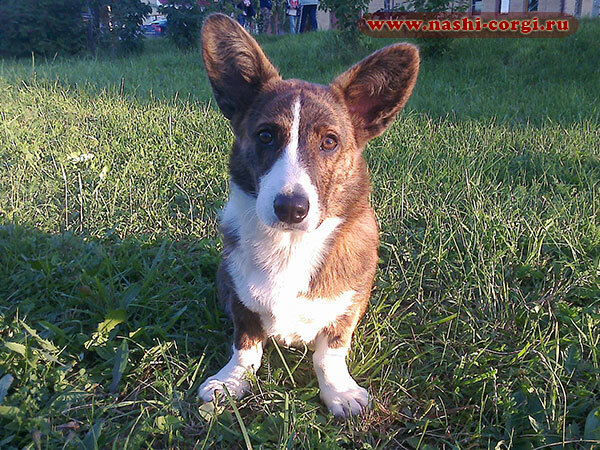 Meet red and white angel Ostap (Zamok Svyatogo Angela OSTIN) the son of our Klimenty and Hanna!